Of the many day-spas to choose from, QC Terme Milano is by far the largest and most luxurious. Located just a stone’s throw away from the bustling intersection at Porta Romana, crossing the threshold of this beautifully restored Art Deco building is like stepping into oasis of calm and well-being. Tucked away behind 16th century Spanish walls, it’s almost difficult to believe you are still in the heart of this frenetic city. Specialised beauty therapists greet the weary visitor with fluffy bathrobes and towels, ready to whisk you off on a journey of pure indulgence and help you unwind. The spa offers an array of services that include Turkish baths, jacuzzis, themed relaxation rooms and 10 indoor pools. QC TermeMilano is a wellness in Milan. The place, in which the spa is located, has a priceless historical value: the building was built at the end of the XIX century by the Milan transport company ATM and it was subsequently converted, while the garden is surrounded by Spanish walls erected between 1548 and 1562 at the behest of Ferrante I Gonzaga. Immersed in this striking atmosphere you can live relaxing moments thanks to jacuzzi, waterjets, waterfalls, bio saunas, turkish baths, relaxation rooms and a salt room. You can also request custom massages and live an alternative experience taking a sauna in the historical tram of Milan. Thanks to QC TermeMilano you can spend also relaxing evenings; the spa, in fact, is open until 11 pm. 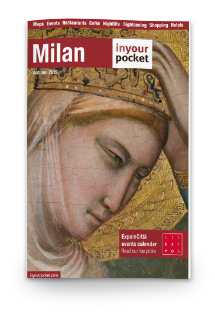 Holders of MilanoCard are entitled to a 10% discount on all types of entrance ticket offered by QC TermeMilano. PURCHASING VENUE: QC TermeMilano office, Piazzale Medaglie d’Oro 2 and at the MilanTourismPoint in Central Station.